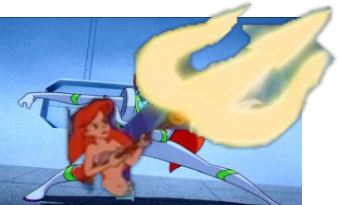 Mira Nova and Ariel. . Wallpaper and background images in the Disney crossover club tagged: disney crossover abc mira nova ariel. Mira Nova's face is in there,just her face is a little cut off by the trident.